At the Center for Nanomedicine (CNM), we design our nanotechology-based platforms for clinical translation. What this means is that we strive for simplicity and the use of components that have a history of medical safety so that our nanomedicines can be tested in clinical trials and developed into useful products. To this end, we often design our platforms to mimic nature or select our systems based on how they naturally distribute in the body. The CNM currently has six start-up companies based on our platform technologies. The first, Kala Pharmaceuticals, was launched in 2009 based on the mucus-penetrating particle (MPP) technology. 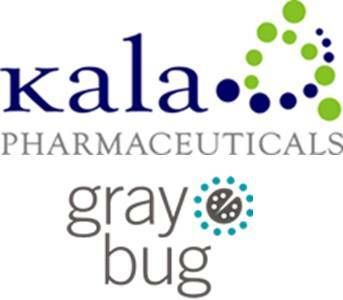 Kala has been strongly backed by venture capital, and has successfully completed Phase II/III clinical trials for improved delivery of drugs to the surface of the eye for various conditions. Another company, Graybug, was launched in 2011, based off of a promising intraocular nanomedicine platform with applications in treating wet type age-related macular degeneration (AMD) and glaucoma. Graybug has been backed both by venture capital, and recently by the Maryland Biotechnology Center. Very recently, two other ventures have been launched within the CNM, which are currently looking for venture support. 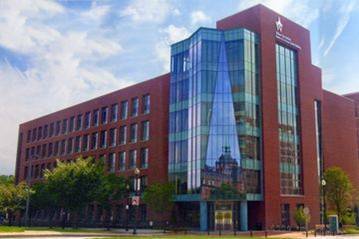 In cooperation among faculty at the CNM, Johns Hopkins Russell H. Morgan Department of Radiology and international experts, Theraly Pharmaceuticals, Inc. was launched to efficiently generate medically important, potent and long-acting therapies. 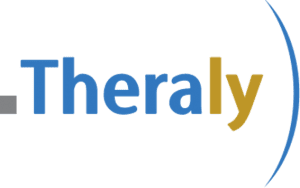 Theraly is currently supporting multiple programs in areas of high unmet medical need including diabetes, fibrosis, autoimmune and oncology indications. As a spin-off from Theraly Pharmaceuticals, Theraly Fibrosis was set up to lead commercialization efforts for new therapies for the treatment of chronic rare fibrotic diseases. There are currently no effective anti-fibrotic drugs available for patients. The dendrimer-platform technologies targeting neuroinflammation is being commercialized and moved towards clinical trials by Ashvattha Therapeutics, LLC and Orpheris Inc., starting with a focus on pediatric neurological disorders with unmet clinical needs, including adrenoleukodystrophy (ALD) and cerebral palsy. Significant, patented (licensed) technologies are being advanced for creating targeted, systemic therapies in ocular and brain disorders. In summary, one of the founding goals of the CNM is to translate our research in nanomedicine into companies that can facilitate our technologies on the path through clinical trials and into the clinic. In this way, we seek to truly realize the incredible potential that nanomedicine has in improving disease treatment and prevention.